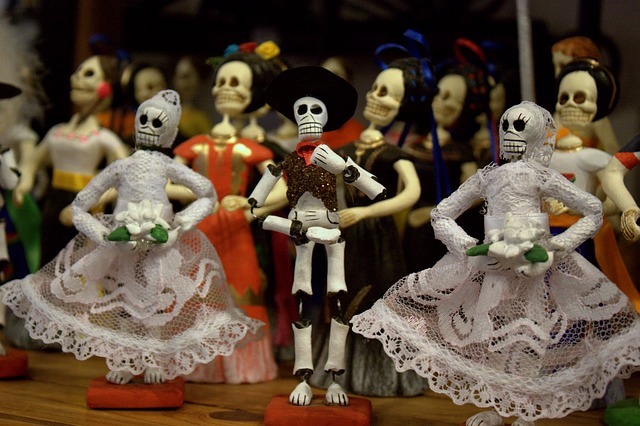 Dia de Todos Santos, or All Saint’s Day, is a popular holiday which occurs every year around November 1st, celebrating Catholic Saints and spirits who have passed. The Day of the Dead is big public holiday, which sees people paint their faces like sugar skulls and celebrate the lives of deceased family and friends. 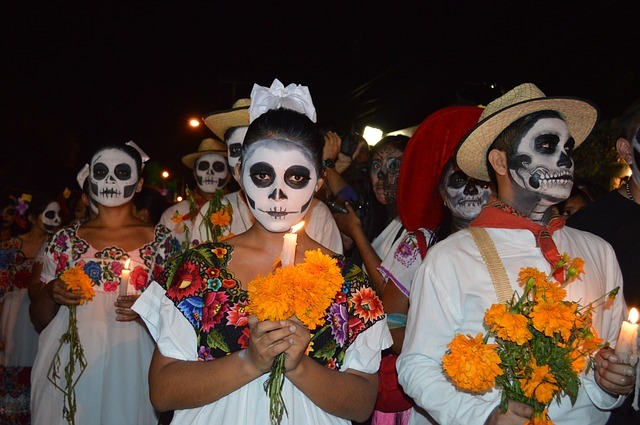 Day of the Dead and similar ancient traditions have been performed in Latin America for thousands of years, probably rooted in Aztec beliefs. It is hoped that celebrating the dead will awaken their spirits, allowing people to communicate with the departed. People often visit the graves of loved ones on the Day of the Dead, offering sugar skulls and food to the spirits. 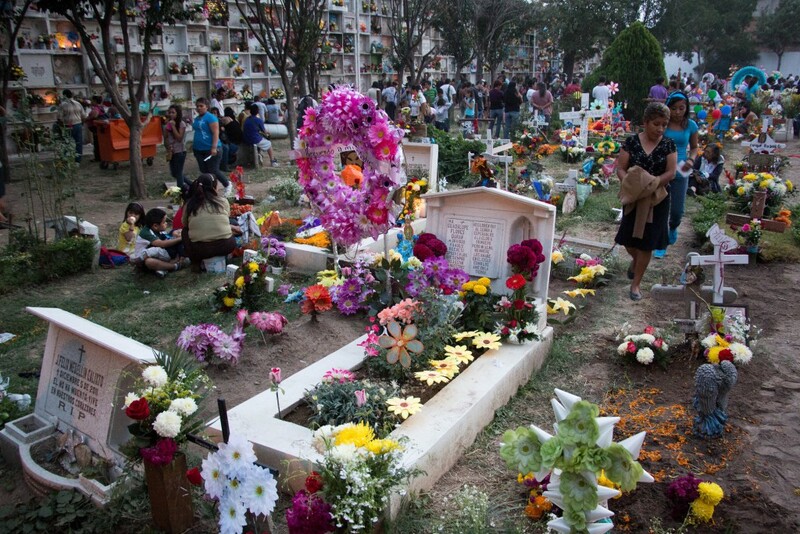 Cemeteries are colourfully decorated, reminding people that it is a day to celebrate the deceased rather than mourn them. 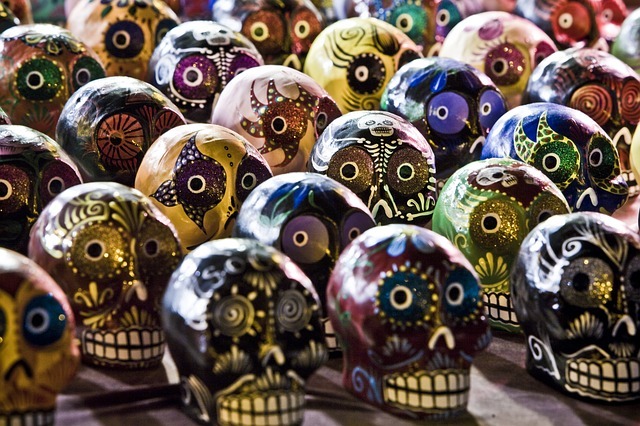 Although Day of the Dead in considered a Mexican holiday, it is celebrated around the world, including in many parts of South American such as Bolivia, Brazil, Ecuador and Colombia. 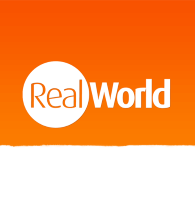 Each country’s rituals differ, from blessing skulls in Bolivia to preparing traditional foods in Ecuador. One of the foods associated with Day of the Dead is pan de muerto, a white, eggy bread, shaped and decorated to look like bones. 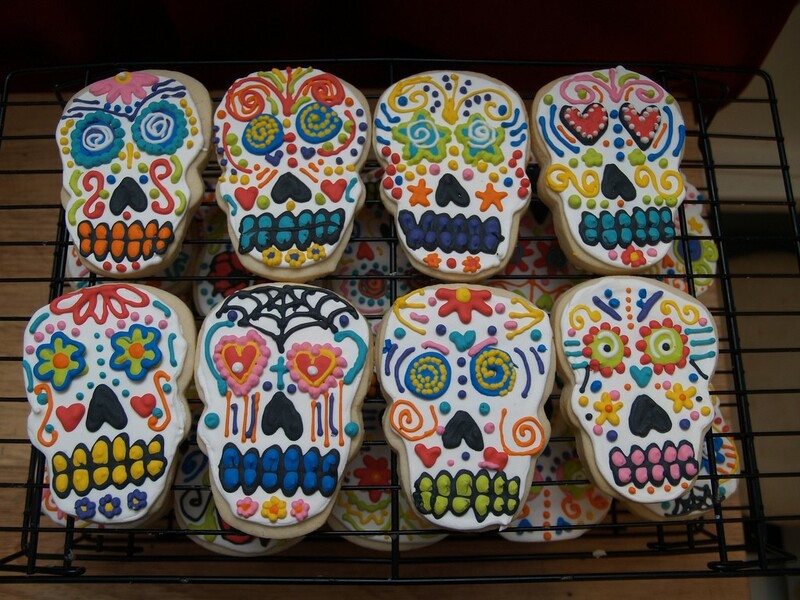 Another, is the popular sugar skulls, which are sweets sometimes inscribed with the name of a spirit, baked as gifts for both the dead and the living. The tradition is more recently gaining popularity in Europe and the United States, although mostly this is for fun rather than being a religious celebration. So, if you’re stuck for a Halloween costume this year, why not take inspiration from the Day of the Dead?